If your future includes a move to Elk Grove, check out Meathead Movers! Our professionally trained student-athlete movers, moving concierge, and princess packers are prepared to get you safely moved into your new Elk Grove home. 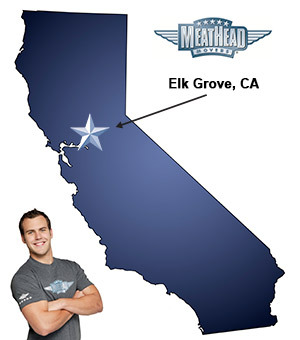 When you make your move to Elk Grove, be sure to contact Meathead Movers. No matter what type of moving service you need, our student-athlete movers are ready to handle all your moving needs. If you are moving to or from anywhere in Elk Grove, we are the moving company for you! Our professionally trained student-athlete movers and our moving concierge service are here to help you with every stage of your move in Elk Grove. As a relatively new city in Sacramento County, Elk Grove is a great town that is looking forward to its bright future. With a great quality of life and a focus on family, Elk Grove may be just the place you are looking forward to calling home. Its prospering business community includes great shops, services, companies, and career opportunities. Elk Grove is known for its award-winning schools, delicious restaurants, quaint historical district, and great parks. If you are considering a move to this city, Meathead Movers is here to help! Our moving company specializes in local, long-distance, and commercial moves to, from, and within Elk Grove. We also provide reliable packing, storage, on-site relocations, and our distinctive moving concierge service, which connects you with local service providers. All our student-athlete movers are thoroughly screened and trained before their very first move. With branches not just in Elk Grove, but all throughout California, we are your one-stop resource for all your moving needs, no matter where your California move takes you. In fact, you can see what your neighbors in Elk Grove have to say about us. With our 100% satisfaction guarantee, the only thing you have to lose is the stress that comes from moving! Contact us today for a free no-obligation moving quote and to learn how we can help you on your next move! Moving to Elk Grove? Here are some helpful resources. View more Elk Grove resources. These guys are the best! On time, professional, courteous, and treat everything as if it were their own. Best move ever. I like that you give back to the community and the packers/movers that I worked with were all really professional and respectful young men. the movers did their absolute best to please. they were on time, worked quickly and very efficiently, were very helpful and were very pleasant. they were great.